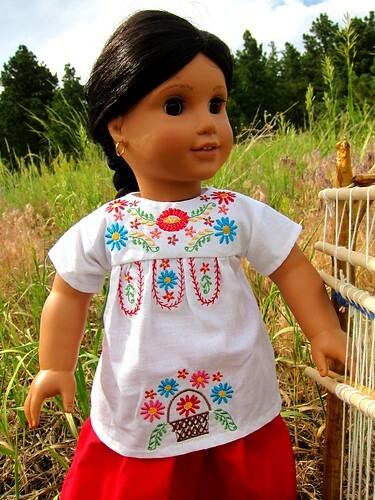 Hooray…new dolls and new patterns! Hearts for Hearts dolls has been teasing us with Mosi for a very long time now. At first, I wanted her as a Christmas present (That was in 2012) but she wasn’t out yet. Then I wanted her for my birthday (which is in January) and she still wasn’t out yet! 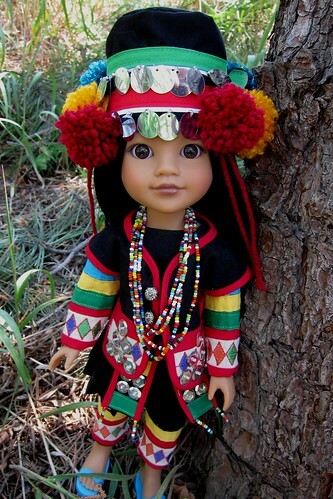 Finally in March they posted on their Facebook page that she would be available this summer along with Shola, an incredibly beautiful new doll who is supposed to be from Afghanistan. 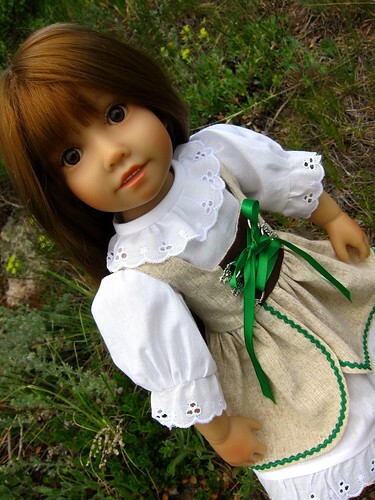 To celebrate the arrival of the doll I have waited for for such a long time, blog readers are getting a free pattern! 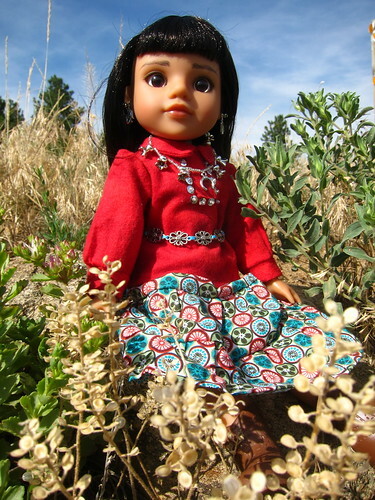 When Mosi was originally introduced, she was supposed to be Navajo, so the outfit I created for her is a traditional Navajo skirt and blouse. You can download it here It’s sized for Mosi as well as American girl and Magic Attic, just in case you haven’t gotten around to getting Mosi yet. Guess what else? There are 2 new pattern collections! 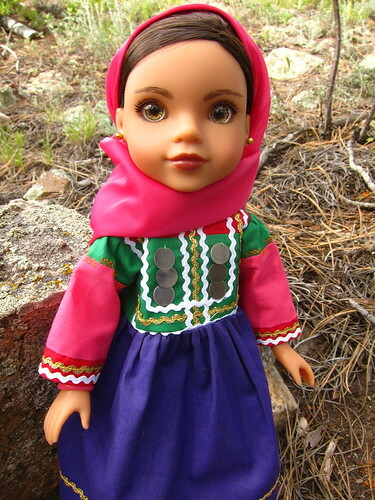 The first one is a set that represents many of the countries that the Hearts for Hearts Girls come from, including Afghanistan, Ethiopia, India, Mexico and more. Not only do they fit the Hearts for Hearts Girls, they are also sized to fit larger dolls like American Girls, Kidz n Cats and Sasha. 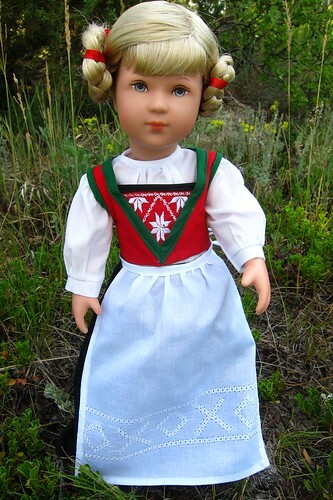 The second set is a unique concept I came up with to re-create most of the folk costumes of Europe! 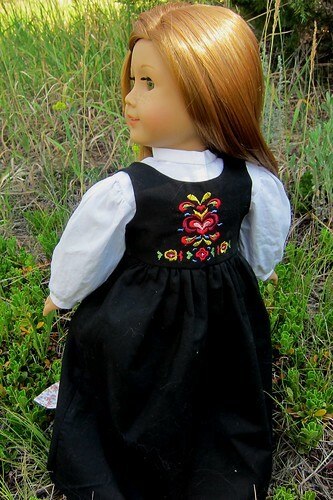 These patterns are sized to fit slim 16 to 18 inch and AG dolls, and include instructions for how to adapt them to fit Hearts for Hearts. When I put out the Feedsack Fun book, I did get a couple of requests to remove and sell individual patterns from the book. The way it was structured, it was difficult to break it up into individual patterns. So this time I am breaking up each collection into parts. You can get Europe or each of the other individual countries’ patterns separately, or broken into two sets – Europe and Ethnic set#1. For all my wonderful blog subscribers, for the next three days you can use the code blog20 in my etsy shop to get 20% off if you buy both collections – that’s 245 pages of pattern pieces, photos, inspiration and instructions. If for some reason you are having problems with Etsy, please email me and I can send you a PayPal invoice instead. 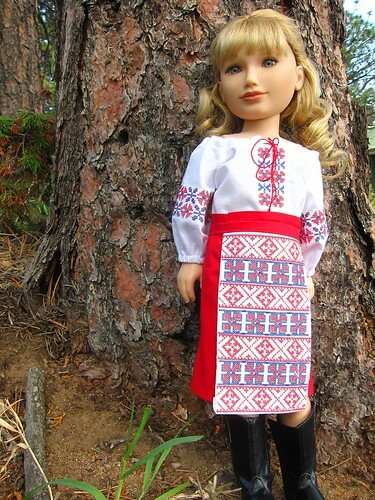 Not into ethnic clothes? By request, the overalls and motorcycle jacket patterns are being resized to fit AGs! 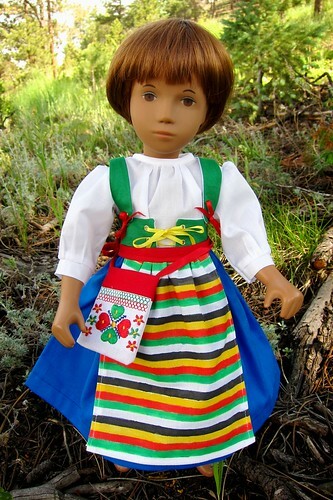 They will be bundled into the patterns that fit the slim dolls. Look for them in the etsy shop in the next few days!